Regular Research and Development has been initiated for development of new products and stabilization of quality of the existing products. The products manufactured by DBS Chemicals were developed and stabilised inhouse by our R&D team. DBS also has set up a fairly well equipped small lab pilot plant for producing the inhouse products on lab scale before scaling them to commercial production level. The DBS Chemicals has set up testing equipment like Gas Chromatography, Automatic Titrator, UV Spectrophotometer, Karl Fisher Moisture Meter for finding purity/Strength of dyes Intermediates & Dyes. Muffle Furnace, Lab Oven, Vaccum Pump, Small Distillation Unit, Digital Ph Meter, Electronic weighing Balance, and various other equipments for finding different charactrstics of Intermediates. 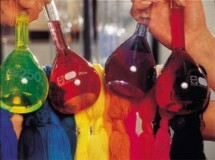 Further, the DBS Chemicals has also entered into long term arrangements with reputed laboratory viz. SGS INDIA MUMBAI, ANACHEM LABORATORIES MUMBAI, BHAVI ITERNATIONAL LTD MUMBAI, for testing of its products to reconfirm its analysis results. DBS CHEMICALS Uncompromisingly commits itself to conserving the environment, besides protecting it. We would first look at each and every business of ours from the perspective of Environmental friendliness for prevention of pollution. We assure compliance with all applicable environmental legislations and other statutory requirements. wastewater generated from our process. We are committed to conserving water. · Variance with respect to products processes and services. · Compliance with schedules in production, testing, dispatch and payments. · Availability of material and equipment. · Cost and value from all activities. · Personnel competency & training.